Very Good. 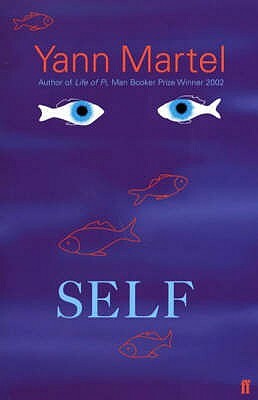 Edgy, funny and devastating, Self is the fictional autobiography of a young writer at the heart of which is a startling twist. And as adulthood begins, indecisively, boundaries are crossed between countries, languages and people. B-format paperback. 352 p. Intended for college/higher education audience. Very Good. 8vo-over 7¾"-9¾" tall 0571219764. Diving into the depths of androgyny, "Self" is a passionate outpouring of the soul of its unnamed narrator. Beginning from the earliest childhood memories and continuing on into adulthood, the main character of this novel is every reader who is lucky enough to pick it up. It exists within a dreamlike, symbolic world, and yet at the same time balances this gracefully with harsh realism. As the title suggests, it is a journey of self-discovery not only for the narrator but for the reader as well, exposing him or her to euphoric ecstasies, states of confusion, and emotional angst. One will never forget this book, nor the impact that it makes on his or her soul.